Sooooo, since my AWESOME vision board challenge “2019 WITH VISION” is getting closer, I thought I’d share a few mistakes people make with creating their vision boards. As you know, I’m gonna teach you all about vision boards – we’re gonna cover what they are, science behind them, how to create them & what to do with them later on. I’m also gonna share all of my juicy secrets beyond vision board, so you really wanna participate. I am obsessed with vision boards & create them for everything – so many of the things in my life are exactly what used to be my wildest imagination back when I was creating my first vision boards. I mastered the process & now I rely on them often. It brings me so much joy to see how life unfolds to match pictures I copy pasted on my boards. Now I wanna teach you do the same! In the challenge, though, I’m not gonna cover the mistakes, because I wanted to share them right now! Let’s just dive in because this is SO EXCITING! It’s one of the most common mistakes I see people usually make in life, even beyond creating vision boards. Average people just kinda drift through life, not having a clear vision of where they’re going. Of course, when you’re not clear on where you’re going, you cannot know what it’s gonna take to get you there. You also cannot know what to even put on your vision board. Sure, you can put some random stuff, a pretty car or a house, but if what you put on your vision board is not aligned with your ultimate vision for life – it’s either not gonna happer or it’s gonna happen but you won’t enjoy it. Therefore, before creating a vision board, make sure to know as much as possible about yourself, where you’re going & what’s your purpose. If you feel like you need help discovering any of these, you DEFINITELY wanna join the challenge because later on, I’m gonna offer you incredible change to dive so freakin’ deep on all of this! Exciting things are going on, indeed! Look, when you’re creating your vision board, you are creating your future. Worst thing you can do is to put a time limit on yourself & pressure yourself to be done in like 5 minutes. Creating your future takes time & must be an enjoyable process – the energy you put into your vision board is going to be the energy of your future. You don’t wanna be rushing into anything. So, schedule it. Make it a whole thing in your calendar, day XY from X-Y is the time I am dedicating to create my gorgeous future. Do not disturb. Give yourself time to think every choice through & to create a vision board that truly sets your soul on fire. Only when you create that kind of a vision board can it be powerful! The same as with time – the energy you put into creating your vision board is going to be a part of your future. You definitely wanna be at your highest, best energy ever. What I find helpful is preparing, take time before even starting to get yourself in the right mood. Do some dancing, singing, yoga – whatever you love doing, to make sure you feel fantastic. As you can see, vision board creating process can be an entire ritual – make it so. Make it count, make it emotional & make it powerful + meaningful. That’s gonna create the best results. When you’re making your vision board, do NOT let any limiting beliefs take over. Don’t doubt it’s gonna happen. Put all of your trust into the process & know it’s working 100%. If you don’t believe you can have the things you put on your vision board, you’re going to be self-sabotaging in the future when opportunity arises to make it happen. Make sure you’re clear on your self-worth & have absolute certainty that it’s gonna show up. In my challenge, I’ll be explaining the science behind why vision boards work – make sure to participate, especially if you think it’s some weird woo-woo stuff. Because it’s not, our brains are wired to make it happen & I’m gonna teach you how. The more you can tune in to what it’s gonna feel like when stuff from your vision board happens, the faster it’s gonna happen. This is crucial. Creating a vision board isn’t about gluing or copy-pasting a bunch of photos on a board. It’s about training yourself for those experiences. When you’re putting certain photos on your vision board, make sure to take a moment to feel what it’s gonna be when you receive it. More feelings create more power. Speaking of power, feeling of gratitude is the most powerful energy you can infuse into your work. Make sure you’re feeling so freakin’ grateful, as if you’re receiving your desire right now. Because the truth is, you are. So make sure to be super grateful for what you’ve just received! Every time you see your vision board, go back to that place of infinite gratitude for receiving your desires. The more grateful you are, the faster it’s gonna show up in your life. 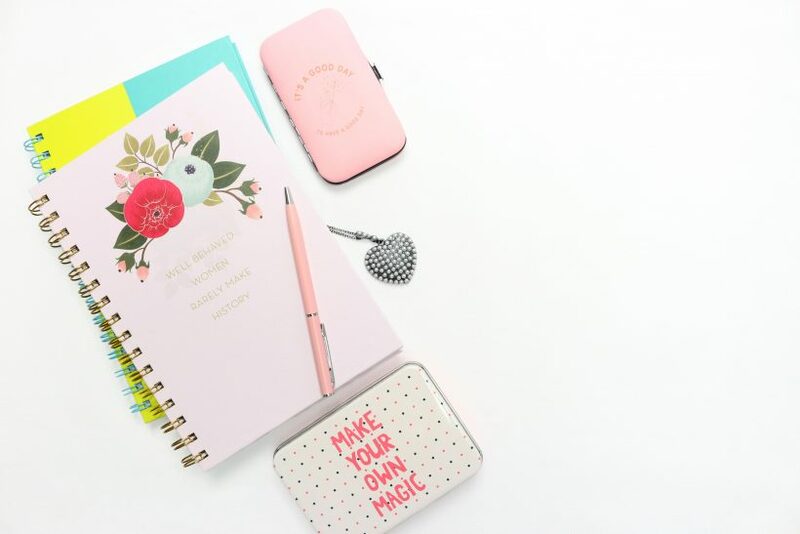 Although vision boards are incredibly powerful, sometimes we don’t tap into their power completely, by making some of these mistakes. Therefore, being clear on all of these is super important when creating your future. After all, you wanna know exactly who you are, what drives you, what are your intentions & be sure that nothing’s holding you back. 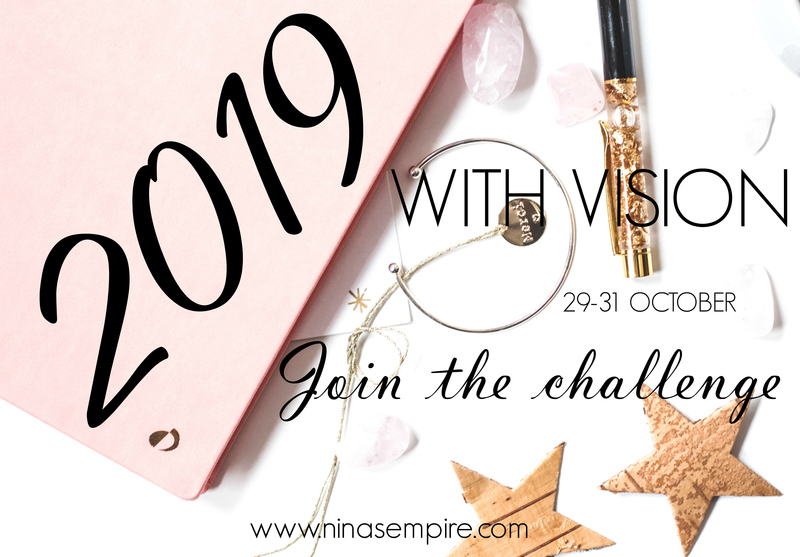 As for all the juicy vision board teachings, I’m gonna share them with you in the “2019 WITH VISION” challenge, can’t wait to see you in! Btw, did you know you can win a mug of your choice from my shop if you participate? Oh yeah!! I’ll share how in the challenge, so make sure you’re on the other side! Any mistakes you’ve been making when creating vision boards? Let me know & don’t forget to join us!